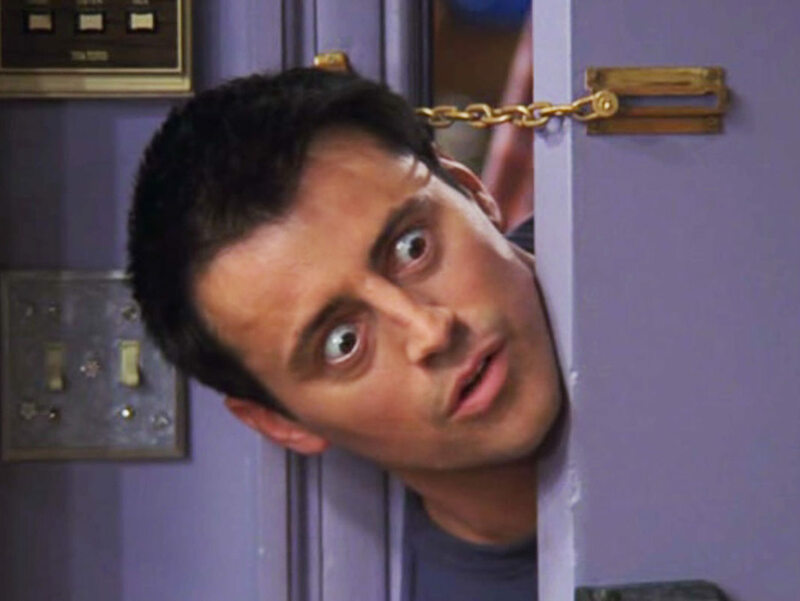 10 Times Joey Tribbiani Proved That He Is The Man, He Is The Best Friend! Friends is not just a show and the characters are not mere actors. The series is rooted in our hearts and Joey is undoubtedly our favourite. Armed with his Man Purse, he is no less than a fashion icon. At the beach Monica gets stung by a jellyfish. Joey remembers a documentary from the Discovery channel that suggested urinating on a jellyfish sting to make the pain go away and he "steps up" to help her though Chandler is forced to do it instead cause he gets stage fright. When Chandler and Monica begin dating, he manages with great difficulty to keep it from the others. Well it’s difficult to keep up when they know that we know that they know we know. In order to save the girls from being thrown out of their apartment, Joey helps their super Treeger for a sophisticated ball dance and round up his crush. Phoebe has weird meat cravings when she is expecting in spite of being a vegetarian so Joey decides to go meatless for her to maintain the number of cows on earth. He is the protective old brother who tries to talk sense into his sister who gets pregnant with a boy from a band Numnuts. Being the true friend that he is, he tries to save Chandler from a cheating Janice. He also guides him saying that he shouldn’t break her family for himself! His best friends are getting married and how can Joey not be at the heart of it! He gets ordained as a New York Priest and marries them off. This is my favourite could have been. Though this didn't work but Joey was man enough to confess his crush, value Ross’ reaction and also break it off by putting his friendship with Rachel above everything else. He might have developed feelings for Rachel and even proposed her but it was all in good faith in order to take care of her. The actor and the geek, Joey shares a weird connection with Ross but values his trust and friendship above all. Not only did he help Monica keep her job by making her fire him once, but also by being her best food favourite critic. Two eccentric souls having their own idea of life, Phoebe and joey were like butter and cheese with their meat and French issues keeping audiences glued. Chandler and Joey? The lesser said the better. Like marriages, this match was made in heaven! Though the six of them share different equations with one another everyone seems to have a special soft corner for Joey just like the millions of his fans.